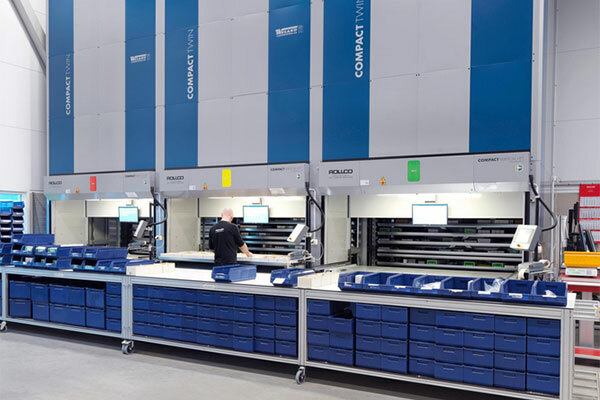 Sweden-based Weland Solutions, a leader in warehouse management solutions and logistics, will showcase its latest products at Hannover Messe, the world’s leading and largest industrial trade fair running from April 1 to 5. “Weland Solutions and Weland Plastic will be representing the Group together at one stand. This is an excellent opportunity to showcase our products to 220,000 visitors and thousands of other exhibitors. It’s going to be exciting,” said Björn Karlsson, CEO of Weland Solutions AB. “But we’ll be there this year and we’re obviously aiming to establish new contacts. Our goal is to continue expanding on international markets with more dealers and distributors. We will be showcasing our full range of vertical storage lifts at the fair. These machines are some of the fastest in the world and are designed to handle the heaviest loads and weights too,” he added. “Some of them, like Jaguar Land Rover and Rolls Royce, are also customers of Weland Plastic. We supply these companies with completely different products in entirely different segments. I think this perfectly illustrates the quality and strength of the Weland Group,” said Karlsson. “A relatively large amount of our work is with German industries and the trade fair is a huge venue where we are able to meet existing customers and present our company to new business partners. Between 70 and 80 per cent of our production is for the automotive industry and we are fully certified in compliance with the industry’s standards,” said Per-Olof Axelsson, CEO of Weland Plastic AB.